Local country saloon, Shotgun Willy's, uses POS-n-go to speed up transactions at the bar. Saloon Manager, Jasmine Bushko, likes POS-n-go. "I've gotten really efficient at using it," she said. When its a busy Friday or Saturday night, "We're all about speed," said Bushko. 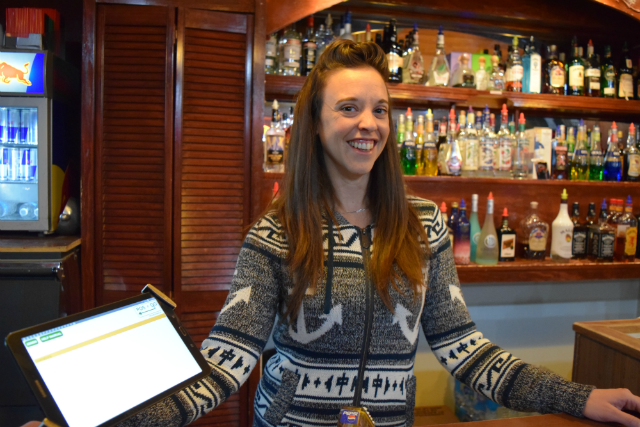 She and the bar staff appreciate the fast order screen which allows them to ring in a sale with the touch of a button. POS-n-go keeps things moving along and patrons happy! POS-n-go's extensive reporting capabilities makes completing the month end fast and easy. What used to take several days now happens in a few hours. Bushko adds that using POS-n-go is "easy, its like your smartphone." Located behind the York Hotel on 10th Ave. South in Cranbrook, when the rock 'n roll urge hits, Shotgun Willy's Saloon is the place to be.